Can Anonymous Surfing Software Keep You Safe Online? Avoiding hackers, steering clear of predatory advertisers, and keeping under the government surveillance radar is becoming increasingly challenging. A number of companies have introduced anonymous surfing software to help keep your searches out of the public eye. But can you install this software and search away — no longer fearing who’s watching? Not necessarily. With modern encryption techniques and a few loopholes like cookie files, some of your information can still leak out there. Here is how you can make your Internet activities truly stealth. Most online communications, including email and instant messaging, can be encrypted. But encryption just hides the information within these communications, not masking who is communicating with whom. Cryptographic anonymity tools like Tor hides even the identity of the sender and receiver. Tor uses triple-encryption and bounces the communication off of servers around the world, making it difficult or impossible to trace. Tor is a free, open-source tool that works with most operating systems and applications. Unfortunately, smartphones are designed for the opposite of privacy. 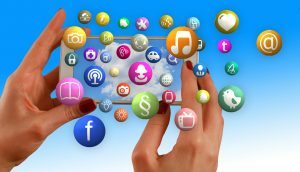 In order to use smartphone apps and services, you have to give up secure browsing, allowing any advertiser or would-be hacker access to your identity. For true anonymous surfing, stick with a prepaid burner phone. Browsers like Chrome, Internet Explorer and Firefox keep up with your activities for a number of reasons. They make the bulk of their money off advertising, so they want to find out what your interests are to target you with ads you’re likely to respond to. 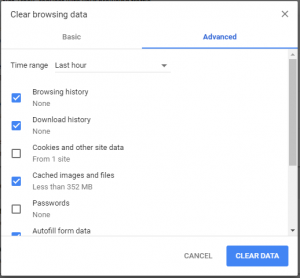 They also track where you’ve been in order to store information on the websites you frequent so those sites can load faster when you come back. Delete this information on most systems by pressing Ctrl+Alt+Del and deleting your search history, cookies, downloads, etc. from the menu. Never allow your browser to store your passwords for you, and set your browser to anonymous search mode. The safest way to search securely, however, is to use an add-on tool like SearchLock. Web searchers, SearchLock is the anonymous browsing tool that offers anonymous surfing that’s easy to set up. 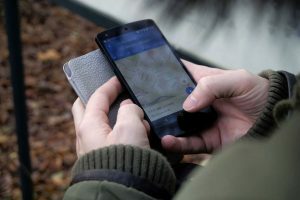 Most popular browsers allow you to block location data, which is one-way websites and other entities identify and track you. Most search engines like Google offer an anonymous search function, but you can also opt to use an alternate search engine like Duck Duck Go. These search engines pull results from Google, Bing, and other top search engines, yet do so without tracing the activity back to you. There are several similar search engines, all with unique features and limitations. 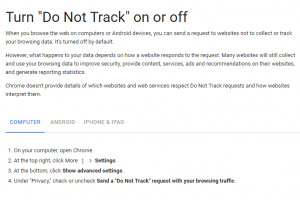 One option for covering your online tracks is using a proxy server and VPN (virtual private network). Using these technologies mask your search traffic as well as your IP address and location. The technology essentially bumps the traffic all over the world, making it difficult or impossible to track. However, it takes some tech savvy to use these tools, so if you’re not comfortable with high-tech geek stuff, you’re better off using one of the alternatives like SearchLock and a secure browser. Most browsers have a setting to allow you to enable this header, which instructs websites not to follow you. The downside is that there is no requirement for websites to abide by this command. However, it is another line of protection you can take advantage of, and it doesn’t hurt anything to enable it. With the right tools, your browser and searches can be private. But email was never designed for security. 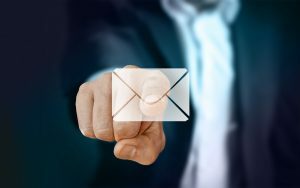 Email technology was developed way before anyone realized that it would one day serve as our primary communications resource. There are email encryption services available, though, to help. According to Forbes, the only email service that even the NSA can’t crack is ProtonMail. Gmail, Hotmail, and other popular services often skim mail in order to target you for ads. After all, these services are free, so the only way those companies make money is by targeting you for ads. Unfortunately, you can invest in firewalls, secure email services, VPNs, and anonymous surfing software, and blow all your efforts with social media. To access Facebook’s privacy settings, click on Account, scroll to Settings, and select Privacy. Go through each option and edit according to your privacy needs and concerns. Make sure you’ve selected the option that doesn’t allow search engines to crawl your posts. Repeat this process on all your social media accounts. Most importantly, never share anything on social media that you aren’t comfortable with the entire world seeing. So, security software can go a long way toward protecting you, but in the end, it’s smart Internet use that maintains your privacy.